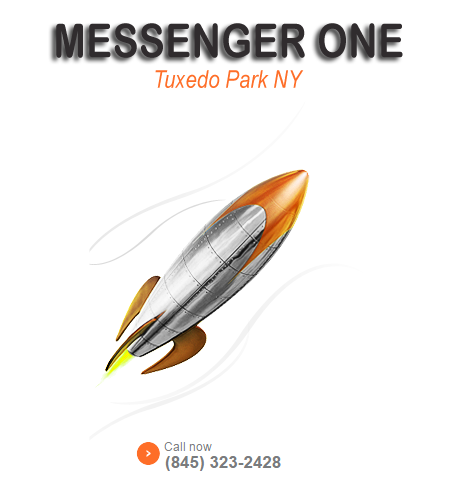 It is our pleasure to introduce you to Messenger One. Messenger One provides professional, dedicated delivery services to suit a variety of business needs. We are ready to go at a phone-call’s notice with any of your time or materials-sensitive deliveries. Dependability: Of utmost importance to our clients and us. End-point courtesy: We offer a personable interaction when picking up and delivering packages. We understand that your image is important to you. Flexibility: Our service is available evenings and weekends. Cost-effectiveness: When providing you with a quote, we will work to make it your most economical option. We are currently particularly strong in deliveries originating in, passing through, or destined for Rockland County NY and Orange County NY. Nonetheless, we have no arbitrary restrictions on our range.